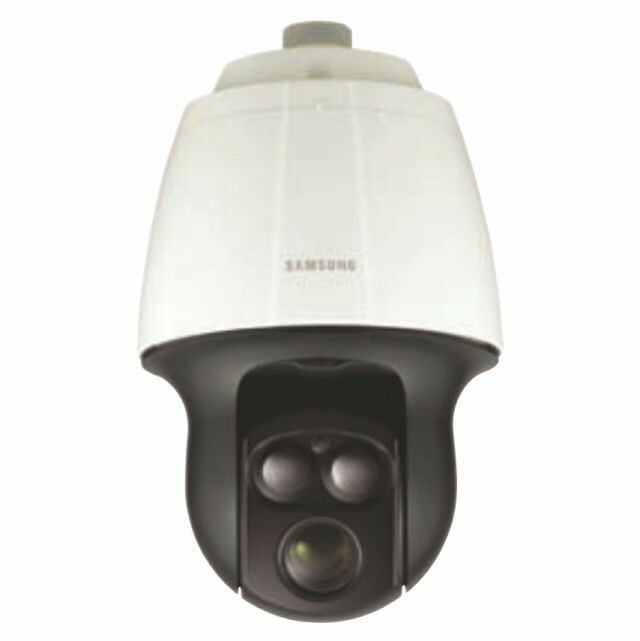 2 Megapixel Full HD 23x Network IR PTZ Dome Camera. Max. 2M (1920 x 1080) resolution. 16 : 9 Full HD (1080p) resolution support. 4.4 ~ 101.2mm (23x) IR corrected optical zoom, 12x digital zoom. H.264, MJPEG dual codec, Multiple streaming. Day & Night (ICR), WDR (100dB). Intelligent video analytics. PoE+, SD/SDHC/SDXC memory slot, Bi-directional audio support. IP66, IK10, IR LED (2ea). The SNP-L6233RH features 23x optical zoom lens and IR viewable length up to 328ft enabling users to capture Full-HD high quality images anytime, anywhere. Additionally, Endless 360° pan rotation and 190° tilt control, advanced Auto Tracking functions are suitable to make your monitoring more powerful.